Jersey (size 44). 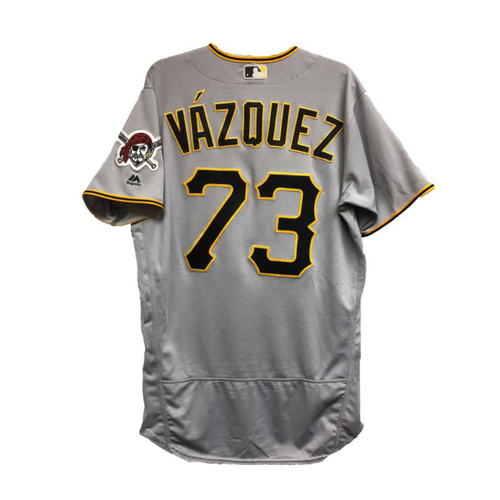 This game-used item was worn on August 8, 2018 against the Colorado Rockies (26th Save) by Felipe Vázquez #73 during the 2018 Season. These items are authenticated by Major League Baseball and contain an MLB Authentication Hologram. By placing a bid on these items, you are expressly acknowledging the following conditions of this auction: all items are sold "as is." Letters and / or certificates of authenticity will not be issued with items unless otherwise authenticated by Major League Baseball. 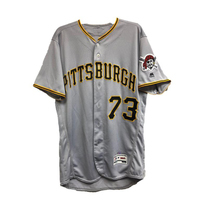 Memorabilia not authenticated by Major League Baseball is described above in copy and photograph(s) using best reasonable knowledge. 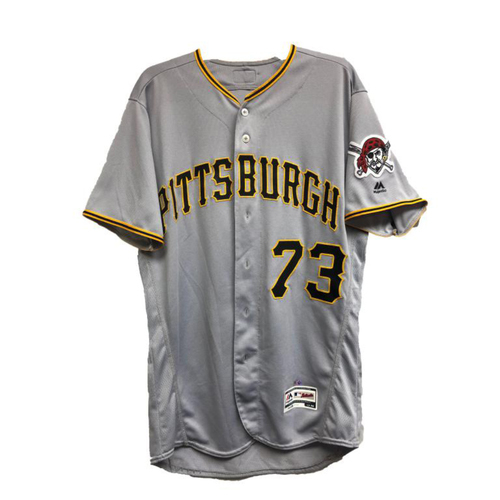 Please contact authentics@pirates.com for questions about this item or general inquiries.  Sales tax will be added to winning bids for auction items being shipped to FL and PA. Tax will also be added to the winning bids for auction items that are picked up in each of these states mentioned. All International customers are responsible to pay for all applicable duty and customs charges. Your local government determines duty and customs charges depending on where the merchandise is made and what it is made out of. When placing an order on MLB.com, you are considered the importer of record and must comply with all applicable laws and regulations. Charges for duties, taxes and the carrier's collection fee are in addition to your shipping charge and must be incurred by you. You should contact your local customs office for further information.